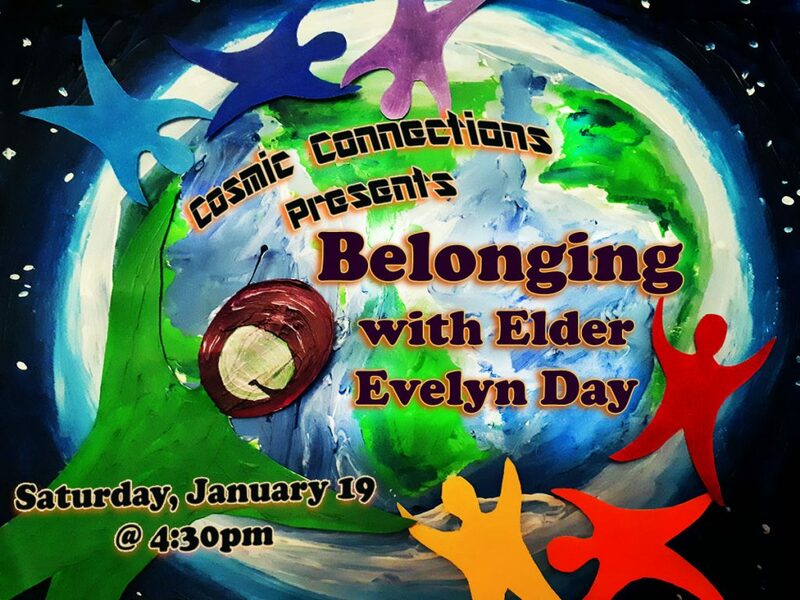 Join Cosmic Connections Youth Group in welcoming Elder Evelyn Day for a special workshop on belonging! What does it mean to belong? What does it mean to belong within an Aboriginal Cultural context? How do we create spaces of belonging for each other in our communities and in the world? This event is intended for Youth ages 11-15, but if you have a desire to create spaces of belonging, you are welcome! Please register below so we have numbers for ordering food. Pizza and snacks will be provided. Gluten Free and Vegetarian options will be available.